is an essayist. He teaches at Piet Zwart Institute, Rotterdam, and at De Appel Curatorial Programme, Amsterdam; Bas Jan Ader – In Search of the Miraculous was published in 2006 by Afterall Books/MIT Press. The essay collection Tell me what you want what you really really want will be published in 2010 by Sternberg Press. 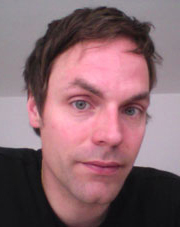 Jan Verwoert lives in Berlin. Sculpture is action with things in space. What space? Social space, the triad of factory/manufactory/hobby room, but also the space of history and the biosphere. What action? Dealing with the devils in the detail, with the genius loci and the demons of the past, of things and animals.